“The 2030 Agenda for Sustainable Development highlights the importance of the inclusion of disability in urban development,” UN DESA’s Under-Secretary-General Wu Hongbo said as he addressed the opening of the High Level Forum on Disability Inclusion and Accessible Urban Development, which took place on the eve of the UN Conference on Housing and Sustainable Human Settlements (Habitat III) in Quito, Ecuador, on 16 October. 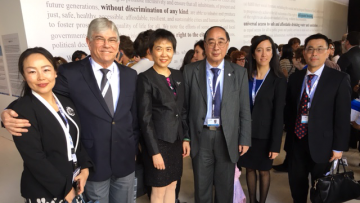 Bringing together more than 100 global urban planning and disability experts, the event honed in on finding solutions to make urban development inclusive of and accessible to the world’s one billion persons with disabilities, many of whom live in cities. Aimed at supporting States and related stakeholders in jointly advancing accessible and inclusive urban development, the event resulted in a set of key recommendations to build inclusive and accessible cities and implement the New Urban Agenda for all, including persons with disabilities. Currently, for the world’s one billion persons living with disabilities, most cities and towns present significant barriers to inclusion and participation, ranging from inaccessible infrastructures, to lack of user-sensitive designed facilities or limited access to basic public services. 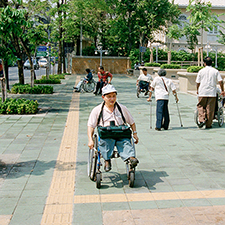 Inclusion and accessibility are preconditions to guarantee the development of fully integrated and sustainable cities in the framework of the new urban agenda. Prior to the High Level Forum, organized by UN DESA and the Ministry of Housing and Urban Development, Government of Ecuador, UN DESA released a new publication titled “Good Practices of Accessible Urban Development” to illustrate and encourage more initiatives and concrete actions from both developing and developed countries in advancing urban development to be accessible and inclusive to all, including persons with disabilities and other special needs. 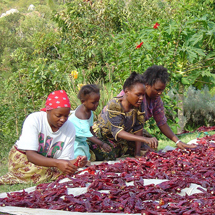 George, a farmer in Africa, produces peppers for export to a food processing company in Europe. Upon reaching the destination market George finds out that his produce cannot go through customs because his peppers do not meet newly introduced requirements and standards applied in Europe. George has to decide either to destroy his produce or ship it back home. George’s situation is a made up story, but is too often a reality for many small and medium-sized enterprises (SMEs) in developing countries. For many exporters like George, this obviously can result in substantive costs, a possible loss of clients, as well as having an adverse impact on suppliers and on the employment of people working for them. To avoid these situations, members of the WTO have to notify other members when they introduce changes before adopting new product standards that affect international trade and provide others with an opportunity to comment. These obligations are spelled out in the WTO Sanitary and Phytosanitary (SPS) Agreement and the Technical Barriers to Trade (TBT) Agreement. Each year the WTO receives more than 3,500 notifications proposing new SPS and TBT measures affecting international trade. For trade officials, producers and exporters in developing countries, keeping track of these notifications and reacting to them in due time is an enormous task. The ePing system, an SPS and TBT notification alert system developed by UN DESA in cooperation with the WTO and ITC, helps people like George to navigate through the massive amount of notifications. The ePing system is a publicly available, free of charge online service. In the above scenario, with this new service George can now self-subscribe to free automatic emails listing notifications that deal with peppers and markets of interest to his business. The system will help him to track and provide comments on TBT or SPS measures that are being introduced and/or adapted to changing regulatory conditions. As a result, potential issues can be addressed at an early stage, avoiding disruptions in trade. The ePing system will be officially launched on 8 November 2016 at the WTO, by UN Assistant Secretary-General for Economic Development in UN DESA Lenni Montiel, WTO Deputy Director General Karl Brauner and the Executive Director of ITC Arancha González. Once the ePing system is launched, the three organizations will focus on rolling it out. Promotion and capacity development activities will be necessary to ensure that the system becomes available to its intended users, like George, and reaches its full potential in helping to lower trade barriers.